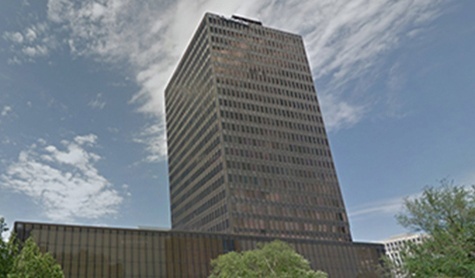 The Baton Rouge office of Stone Pigman is at One American Place, 301 Main Street in the Baton Rouge Central Business District. The office is centrally located within walking distance of the Louisiana State Capitol and the Federal and State Courts in Baton Rouge. As you approach downtown Baton Rouge, stay in the right lanes so that you are not in the lanes that will turn left and go over the Mississippi River. Take exit 155B to merge onto I-110 North toward Downtown/Metro Airport. Stay left and follow the signs for exit 1D which is a left exit onto North Street. Exit left to North Street. Proceed to Fourth Street (towards the Mississippi River). One American Place is a large office tower that occupies the entire block bounded by North Street, Third Street, Main Street and Fourth Street. Parking is available at One American Place.